Ductless AC units, ductless mini-splits, ductless HVAC – no matter what you call it, ductless heating and cooling systems are becoming more and more popular for year-round, individualized comfort in the home. 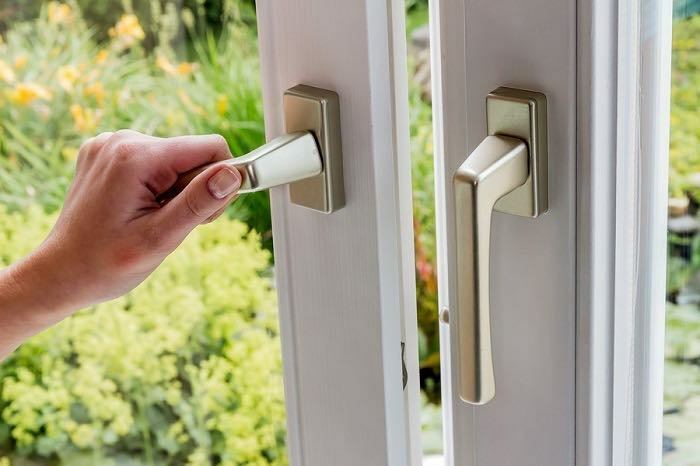 Yet, many homeowners still don’t know much about this efficient and cost-effective technology. Below, our ductless AC experts have answered some of the most frequently asked questions about ductless mini-split HVAC. Read up, learn more, and decide if purchasing a ductless AC unit is the right move for better comfort in your home. 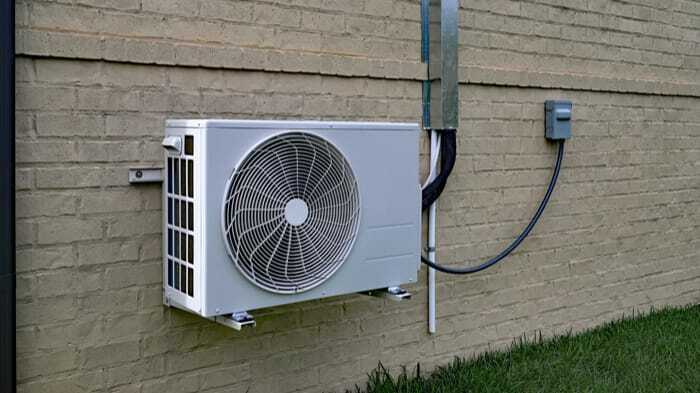 A ductless AC unit, also called a ductless mini-split HVAC unit, ductless mini-split heat pump, ductless AC, or simply a ductless mini-split, is a type of electric heating and cooling system. They are composed of an outdoor heat pump and indoor air handling units that can be mounted on the wall or within the ceiling. A ductless AC unit works the same as a traditional heat pump system, except it doesn’t require ducts! Each area of your home is equipped with an individual air handler, which controls heating and cooling output within that space. How are ductless AC components connected? The outdoor air handler of a ductless AC unit is connected to the indoor air handling united by a component called the line set. A hole approximately 2- to 3-inches in diameter is cut through the exterior wall where a line runs, containing the electrical wiring and copper tubing connecting the units. Products are available to cover up the line set for a better exterior line set aesthetic. Are ductless AC units a new type of technology? While ductless AC may seem like a new type of heating and cooling technology, it has actually been around for decades. The first systems were made in the 1970s. Since then, ductless AC units have been widely used throughout Asia and Europe. In the United States, ductless AC units have been used for more than 20 years, largely in commercial cooling applications. Is a ductless AC unit more efficient than a central air conditioner? Duct systems account for up to 30 percent of energy lost in the cooling process. With a central air conditioner, this is a problem you may face, especially if your ducts require sealing. By eliminating ducts altogether, a ductless AC unit can save you up to 30 percent on your cooling costs immediately! Ductless AC units also use high-efficiency components to further conserve energy when cooling your home. What is the lifespan of a ductless AC unit? Just like any other HVAC system, the service life of a ductless AC unit will vary based on factors such as usage and maintenance. With good maintenance, expect your ductless AC unit to offer 20 years of service. How is a ductless AC unit controlled? Ductless AC units have a built-in control panel on the air handler to adjust settings and temperatures. Most models also include a remote control with each air handler, allowing you to adjust the unit’s settings remotely. These systems do not use traditional thermostats like a central air conditioning system does. How many zones can I add with my ductless AC unit? Most ductless mini-split systems support up to four indoor air handling units per one outdoor heat pump. If your home or building requires more zones, additional ductless AC units can be added to support more indoor air handlers. Your ductless AC installer will determine the best system configuration to optimize comfort in your home. What are the advantages of ductless AC units? Installing a ductless AC unit has a few key differences than traditional HVAC systems, making them a better choice in certain applications. First, they way the system is set up, it is designed to provide zoned comfort – with a traditional central HVAC system, an additional zoning system is required to deliver the ability to individually control heating and cooling in different areas of the home. The biggest advantage of a ductless AC unit is the lack of ducts – hence the name. There is no ductwork required to use this type of HVAC equipment. This makes a ductless AC unit a great option in homes where there is no existing ductwork, or where ductwork requires replacement or a major renovation to accommodate a new heating and cooling system. They are a great option for heating and cooling in homes where space is limited. Choosing a ductless AC unit versus a traditional central AC or heat pump will save you the cost and expense of installing ductwork. Even in homes that have existing usable ductwork, retrofitting ductless air conditioning units can still be a great choice, as they offer high energy efficiency. Ductless AC units actually run fairly quiet compared to a central HVAC system. Air moving through ducts can make quite a bit of noise, which is noticeable in the home. With no ducts, a ductless air conditioning system does not produce this noise, offering quieter operation. How much will it cost to install a ductless AC unit? On average, ductless AC unit installation runs between $3,000 to $5,000. Need Help with Your Ductless AC Unit? Turn to HVAC.com! Ready to install a ductless AC unit in your home, or need help with your existing one? 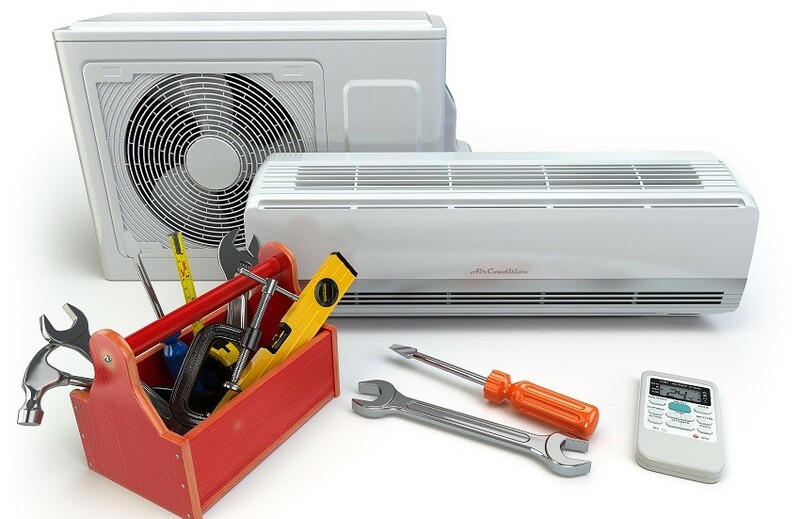 HVAC.com connects you to local ductless AC contractors who get the job done! Use our HVAC Contractor Directory to locate a ductless AC company near you. Enter your ZIP code and you’ll receive a thorough list complete with contact information for HVAC companies in your area ready to get started on your home comfort project. How did homes stay cool before air conditioning?